At the end of the week, we resume everything that the cryptocommunity talked about over the past seven days. This week became known that institutional investors enter the cryptocurrency market through OTC transactions, and Vitalik Buterin may leave Ethereum. Mike Novogratz who famous for the optimistical attitude towards prospects of bitcoin said that the main cryptocurrency would not reach a five-digit point till 2019. According to Novogratz blockchain company in the "bear" cryptocurrency market will have to sell cryptocurrencies, "just financing average monthly expenses". 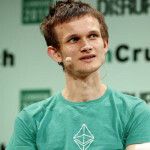 Ethereum network "will absolutely survive" without its cofounder - such a statement made by Vitalik Buterin. The community misunderstood Buterin’s tweet. Many also discussed the possibility of the Foundation surviving in his absence. The head of the International Monetary Fund, Christine Lagarde, says that the world is on the verge of another financial crisis. According to her, rapid development of financial technologies, such as digital currencies is a source of the increased risk, and this fact reminds that continuous evolution of a financial system demands from regulators of vigilance and monitor. Chinese bitcoin magnat and serial investor, Li Xiaolai, said on September 30, that he had no plans to invest in any blockchain project or to influence them. He owner expressed his dissatisfaction with the fact that some market players, prone to fraud, hide behind his name. During Swell conference CEO of Ripple, Brad Garlinghaus said that XRP is 1000 times faster and cheaper than bitcoin. He focused on the speed of payments, as well as on low commissions of XRP transactions, which, according to him, make this coin the best. Stock market analyst Christopher Inton considers it unrealistic scenario in which Bitcoin will be able to take away its market share from the gold. He notes that if Bitcoin really began to replace gold as a safe-haven asset, this would lead to a "seismic shock" in the investment attractiveness of gold, since investors account for 40% of the total demand for the precious metal. 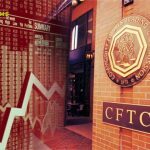 According to US Commodity Futures Trading Commission (CFTC) chairman, Christopher Giancarlo, digital currencies will never leave the market. The expert is confident that virtual assets in many ways exceed fiat money and will make them worthy of competition. However, Giancarlo doubts that e-currencies in the near future will be able to completely force fiat out of the market. At the 30th Annual Forbes Summit, Jim Cunha, Senior Vice President of the Federal Reserve Bank of Boston, expressed the view that banks are not adopting the blockchain due to a number of uncertainties that they have to face in attracting the company to the sector. He emphasizes that everything rests on security. Journalists of the Wall Street Journal believe that automated trading systems manipulate the prices of coins on cryptocurrency exchanges. They refer to a lack of proper regulation, which allows bots to rotate unscrupulous schemes on a large scale. An organization called the Bitcoin Association of Russia presented its own version of the rating of the most promising digital currencies. According to its representatives, the most promising cryptocurrency is Ripple at the mobent. Bitcoin ranked the second. Closes the top three broadcast. Next on the list of the top 10 are EOS, NEO, Stellar, Litecoin, Bitcoin Cash, Monero and Binance Coin. Institutional investors enter the cryptocurrency market through OTC transactions. According to Bobby Cho, director of DRW Holdings, which deals with such transactions, hedge funds today are gradually replacing large individual customers as the main buyers of digital assets. According to a recent survey by Fundstrat Global Advisors, 54% of institutional investors are optimistic about cryptocurrency, saying that Bitcoin has already reached its lowest price this year. Large players also believe in the future growth of the main cryptocurrency. BitMEX Research study states that by September 2018, blockchain startups made a total of $ 5,463 million in Ether during the ICO (approximately 15 million ETH). Most startups sold cryptocurrency at a higher price than its cost during the periods of the ICO. As a result, they received a profit of $ 727 million, while retaining in reserve 3.9 million ethers of approximately $ 830 million. 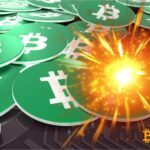 The business magazine WirtschaftsWoche compared the initial prices of ICO tokens of German startups with prices at the beginning of September 2018 and came to the conclusion that the coins lost up to 90% of the cost. Among German companies, only the Neufund financial platform and the Wysker trading application were able to preserve the value of their tokens. Bitcoin Core devs introduced Bitcoin Core 0.17.0, which offers access to the “blockchain reduction” function (its weight already exceeds 180 GB) via a graphical interface. It also became known that last week the number of bitcoin addresses increased by 6.9% to 3.47 million, and the share of SegWit for the first time grew for more than 50% of bitcoin transactions. Ethereum and Litecoin may join Bitcoin in the futures market, Forbes reports, noting that this may be a good sign for these cryptocurrencies. Venezuelan President Nicolas Maduro made a series of announcements about Petro's cryptocurrency on national radio and TV. Start of public sales of the controversial cryptocurrency scheduled for November 5. According to the announcement on the Venezuelan government’s website, users can finally visit the official website of Petro and even download a wallet from Google Play. Bitmain, the cryptocurrency mining giant, announced the purchase of a startup with an open source Bitcoin Cash wallet called Telescope. The press release says that currently Telescope may operates in Chrome or Mozilla Firefox browsers, and in the future the team plans to combine it with other platforms. According to the latest report of website ICOrating.com, which assesses the various parameters of ICO-projects and trading platforms, users of cryptocurrency are not protected from hackers: 54% of cryptocurrency exchanges have one or another serious bug in the security system. The report data shows that even large exchanges have problems with the protection of clients' assets. British hedge fund Tiger Global intends to invest $ 500 million in Coinbase. Due to this, its market capitalization will reach almost $ 8 billion, which will make the exchange one of the most expensive cryptocurrency startups in the United States. Binance CEO Changphen Zhao promises to launch a decentralized trading platform in early 2019 or even at the end of 2018. Among the main advantages of decentralized platforms, Binance CEO highlights the freedom of users and their ability to fully control the funds. Poloniex announced that it delists several assets and intends to deprive a certain category of users of the possibility of trading with leverage, as well as to refuse from the service of providing loans to margin traders through the Lending function. Gemini began insuring digital assets. In a statement the exchange notes that all cryptocurrencies that are under the control of its customers will be insured by the global company Aon. Representatives of cryptocurrency exchange CEX.IO announced their intention to return to the listing of Litecoin. 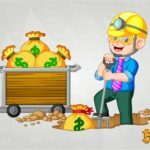 The trading platform ceased operations with this virtual asset in February last year, noting that users show no interest in it. Now the administration of the exchange has decided to reconsider its position, as it has registered an increase in demand for lightcoin, which is now in seventh position in the cryptocurrency rating for market capitalization. Russian State Duma plans to adopt several laws on digital currencies and blockchain at the end of this year. The State Duma wants to pay particular attention to the elaboration of all the details of the procedure for entering companies on the ICO. The EU supervisor for financial markets reported that it had reserved more than 1 million euros for monitoring cryptocurrencies in 2019, as well as other phenomena related to Fintech. Bank of America (BoA) gave a growth forecast for the blockchain market to $ 7 billion and suggested that it come in handy corporate giants like Microsoft and Amazon. BoA analysts have not yet called the time frame for this growth, although they say that in the near future approximately 2% of corporate servers will be used to launch blockchains at an annual operating cost of each of them at about $ 5,500. The Association of Banks of Italy reported on the successful completion of testing the blockchain platform, which will increase the transparency of financial transactions. In testing involved 14 Italian banks. The Israeli Securities Commission began using blockchain platform Yael, which is designed to ensure the safe operation of the regulator. The state corporation "Rosatom" want to use the blockchain technology to improve the quality of work of the enterprises that comprise it. The representative of Rosatom also spoke about the acute shortage of qualified specialists in the use of distributed registry technology in the country. United States announced the names of seven Russians accused of organizing numerous hacker attacks around the world. Assistant US Attorney General for National Security John Demers said that the Russians for Bitcoins bought various programs to gain access to classified information. The chances for the extradition of Alexander Vinnik to Russia are reduced. In the light of recent events, it can be assumed that the preliminary decision on the extradition of Alexander Vinnik will not take effect. Google introduces stricter rules for Chrome browser extensions developers. This step is designed to reduce the risk of cryptocurrency-related hacking and cryptodikeking. The company announced that it plans to make a series of changes to the way that extensions are handled in the Chrome browser, and to tighten the rules for developers who distribute plug-ins through the Chrome Web Store. Fans of online games Fortnite faced with trouble. The Malwarebytes Labs report says that the sixth season of the popular survival simulator turned out to contain malicious software that can access players' wallets and steal bitcoins. © 2018 bit.news | queries 214, for 0.495 sec.